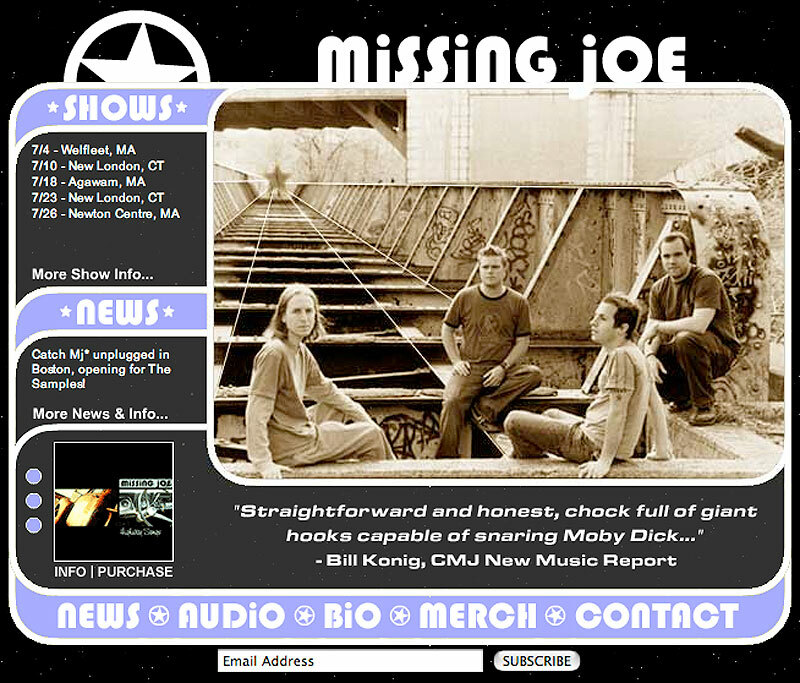 This is the website for a Boston-based band whose music has been used in CBS's "Ghost Whisperer," NBS's "Medium," E! 's "Keeping up with the Kardashians," MTV's "Next," and who have sung the National Anthem at Major League Baseball games at Fenway Park and Camden Yards, and before a Boston Celtics NBA game. 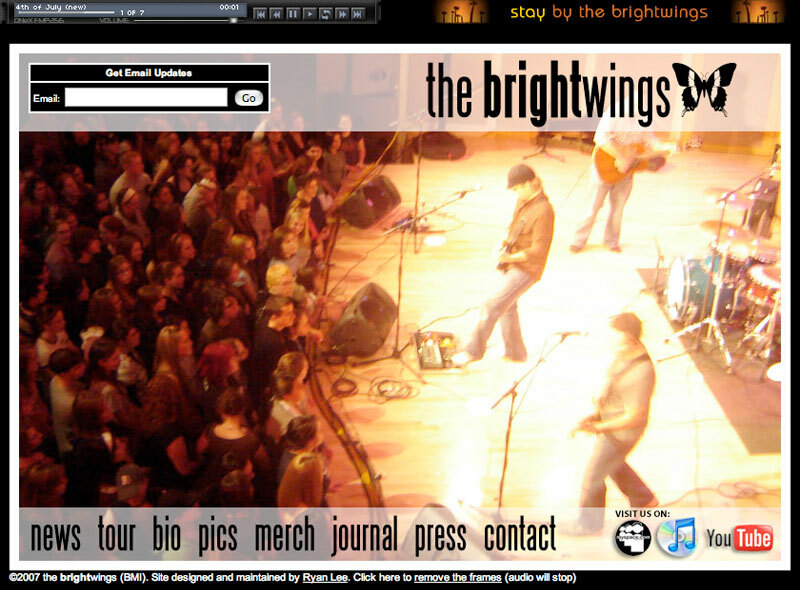 I am the band's Webmaster and have guided their online presence for over a decade. 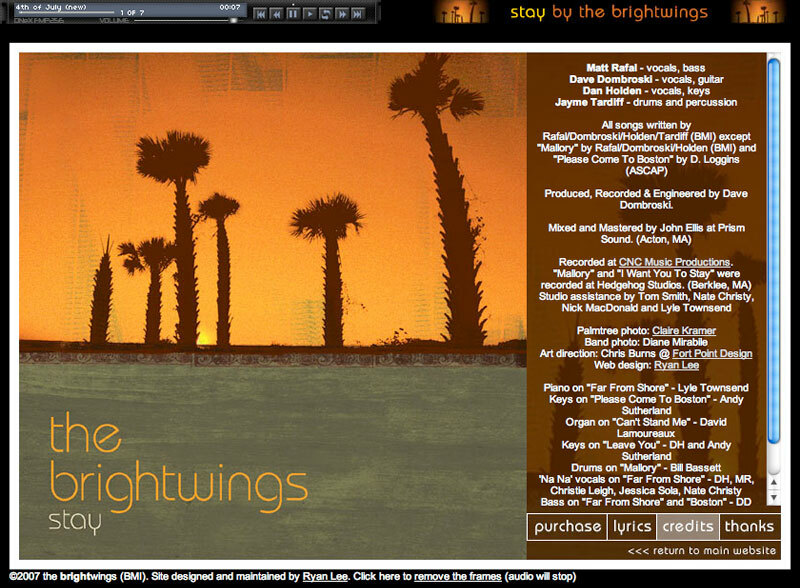 The website has been through several design phases over the years and they are currently taking more advantage of music venues on MySpace, Facebook and are selling their music through the iTunes Music Store. 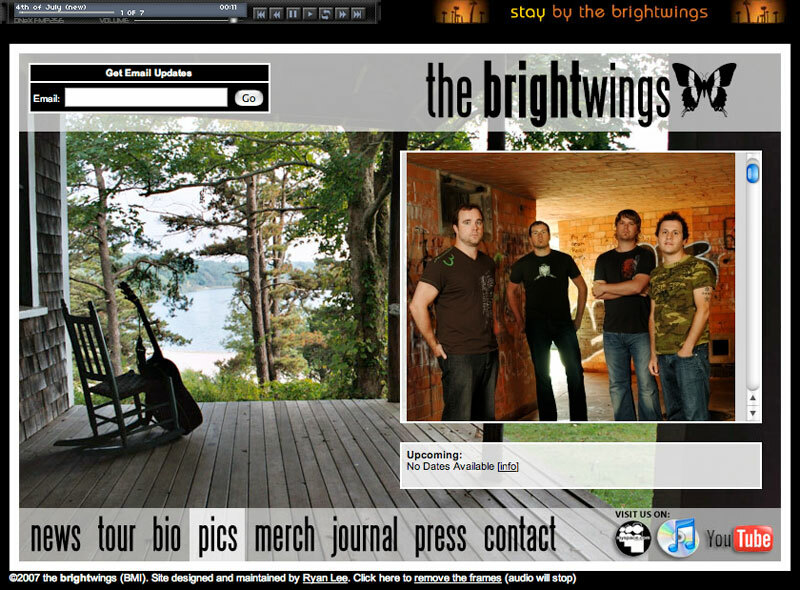 The Missing Joe design (4th thumbnail) was the website of The Brightwings as they were formerly known.